In February 2002 three British Muslims, were among over 2,000 Muslims who were murdered and hundreds of Muslim women raped by Hindu mobs in Gujarat, India. 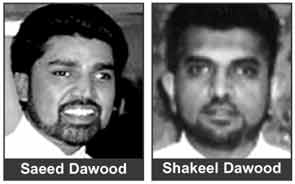 Shakeel and Saeed Dawood, their friend Mohammed Aswat were brutally murdered. The atrocities took place under the rule of the Chief Minister, Narendra Modi, who will be coming to the UK as Prime Minister of India next month. They were returning with their 18-year-old nephew, Imran Dawood, from an excursion to the Taj Mahal to Gujarat. Within hours of crossing the Gujarat border, a roadblock, manned by a well-organised Hindu mob stopped the British tourists. The mob circled the jeep and demanded to know from the occupants their religious identity, the tourists answered that they were British citizens and were Muslims. The hired driver was then dragged out of the jeep and attacked with sticks and killed on the spot. His body was then thrown back into the vehicle and set alight. In the meantime, the British tourists were chased to a nearby farm. Aswat and Imran were stabbed and left for dead. Imran miraculously survived and he recalls Saeed and Shakeel pleading with the mob to spare all their lives but to no avail. He witnessed the pogrom. Imran and family members of Dawood family are demanding that Prime Minister, David Cameron, cancel the visit of Modi into the UK. The family members of British Muslims are still waiting for justice for their loved ones. Imran told The Muslim News that he is “sick and tired with the lies being told to him” that the culprits would be brought to justice. “Modi should not be allowed into the UK. I saw burning buildings. I saw mobs committing genocide. I saw dead bodies, I saw burnt bodies all around me. I experienced smells like never ever before. I was terrorised and left for dead. My family, neighbours were taken away from me and until now no justice has been delivered. And it sickens me now when I see the news on how killing of Muslims is still happening,” related Imran. UK MP’s are brainwashed by the Americans and supposely they will follow one another. But people remember us for our good deeds and forget about the bad people, but the angels of panishment don’t. Therefore no one to blame but ourself for the things we say and do. David Cameron personally and rightfully intervened to ensure Karl Andree, 74, doesn’t face 350 lashes for making wine in Saudi Arabia; yet the lives of three British Muslims killed by Hindu extremists in India mean nothing to our PM. I am prepared to wager everything I own that Cameron will not even mention the trio or ask about developments into their case when he meets India’s Narendra Modi, nor will he address the rising sectarianism, anti-Muslim violence and discrimination sweeping India since Modi’s Hindu nationalist BJP came to power.